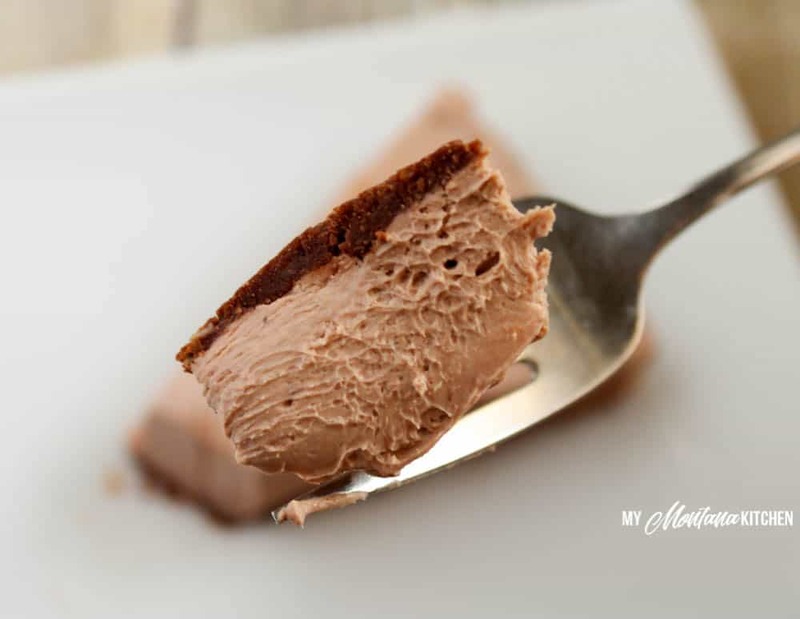 An easy chocolate cheesecake, ready in minutes, and so easy that you don’t even have to turn on your oven! 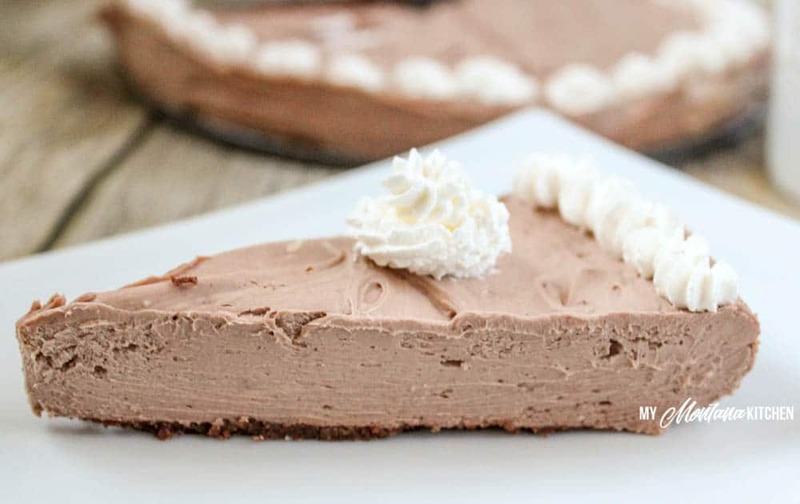 Chocolate cookie crust and creamy chocolate cheesecake filling. This recipe is low carb, sugar free, gluten free, and a Trim Healthy Mama S Fuel. I used the Trim Healthy Mama Baking Blend for the crust, but if you do not have the Baking Blend, you can use a mix of equal amounts of almond flour, coconut flour, and flax meal. This cheesecake uses three packages of cream cheese. The nutritional information below is calculated using full-fat cream cheese. But this recipe will work just as well if you choose to use 1/3 less fat cream cheese. So what do you need for this recipe? In a mixing bowl, combine all of the crust ingredients together. Using your fingers, or the back of a spoon, press crust into the bottom of a 9 inch Springform pan or pie pan. Combine all the filling ingredients and mix well with a hand mixer or stand mixer. Pour the filling into the crust, and refrigerate for two hours. If desired, you can top with whipped cream. Oh my goodness! Looks so yummy! As soon as my grandson goes down for his afternoon nap I’m trying this! Can I use an 85% chocolate bar instead of the Lily’s chips? This is what I was wondering… and how much… a whole bar? 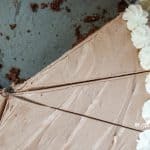 I love, love when a recipe combines more than one kind of chocolate! I love lots of chocolate flavor! 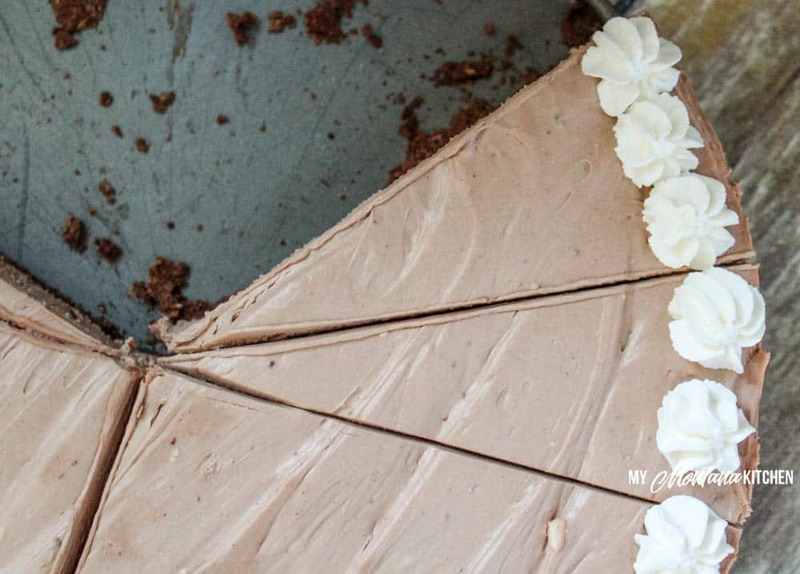 This is so creamy and just perfect combined with some whipped cream! Thanks! I would say my favorite part was how easy it was to make and no baking at all! But I think my favorite part was licking the bowl! I did however add some whipped cream to the bowl to make licking the bowl even better! This is by the far the most amazing THM dessert I have tasted to date! I have been on plan for 7 months. Absolutely delicious. Thank you! Can I make the filling into freezer pops? This was great! One of the best THM desserts I have made. Not sure if you used low-fat cream cheese or not but I did and it was fine. Thanks for sharing! Instead of using the Healthy Mama baking mix can you tell us how to substitute using our own please? You can use an equal mix of almond flour, coconut flour, and flax meal to replace the Baking Blend. You are a genius! Thanks for all you do and you make it easy.. For those of us on a budget, we’re able to enjoy delicious healthy goodness that’s affordable!. You rock girlie! Thank you!